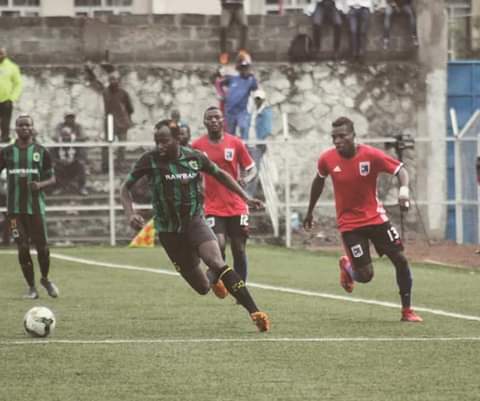 Defending Champions AS Vita missed out on closing in the gap with TP Mazembe following their 2-1 loss away to AS Nyuki in the DRC Linfoot Ligue1 on Sunday in Goma. With TP Mazembe losing 0-1 shockingly at home to Saint Eloi Lupopo on Saturday in a match Joseph Ochaya was not in the 18 man squad, it was a chance for Vita to narrow the gap but surprisingly it was the opposite with Nyuki shocking them. Defender Savio Kabugo was unused substitute in the encounter as DRC international defender Yannick Bangala who was unused against AS Dauphins was prefered this time by head coach Florence Ibeng. On the 16 teams log, Vita lead the log on 65 points from 25 games with 3 games ahead of TP Mazembe who sit in second place on 61 points from 22 points. They (Vita) will return into action tomorrow (Wednesday) with an away encounter against Mont Bleu at Stade Amani in Bunia.